ProCom Vented Gas Logs come in a variety of styles and sizes. 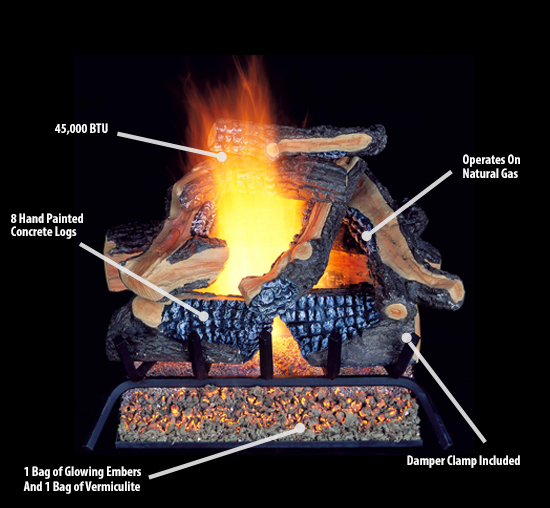 Our vented gas logs offer the most realistic flame patterns and wood stack designs. Our vented gas logs also feature realistic burning ember beds to create a real looking fire. These products must be installed in a fireplace with a fully functional chimney and the flue must be opened at all times when is use, like a wood burning fireplace. Enjoy an ambiance of a natural looking fire right at your home.